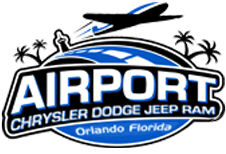 Airport Chrysler Dodge Jeep Ram is a new and used car dealership in Orlando, Florida, that is eager to address your vehicle needs! If you're currently in the market for sleek new cars for sale that cater to your every driving want, head over to our convenient location near Winter Park to explore the 2019 Chrysler 300 sedan lineup. Our professional team of Chrysler sales associates will review the safety systems that come standard, as well as the luxurious amenities that are available to add onto your new car purchase. Get your search for a high-tech sedan started right now, shop our competitively priced inventory via our interactive website before visiting us for a behind-the-wheel experience. Ensure you can drive off our Chrysler car lot behind the wheel of one of these impressive sedans, complete one of our secure credit applications if you're interested in exploring your financing options. Our trusted new and used car dealership works with car shoppers of all credit ratings, and thanks to the variety of lenders we work with in the area, you can rest assured all viable options have been evaluated. Take on the challenges of Florida roads with confidence, opt for a 2019 Chrysler 300 from our auto dealership! With features like a 3.6-liter Pentastar® V6 engine, eight-speed automatic transmission and an available advanced all-wheel-drive system, motorists can enjoy the responsive, spirited ride that they deserve. If you're looking to step up your driving game, don't hesitate to contact our auto dealer near Kissimmee, Florida, to inquire about the 5.7-liter HEMI® V8 engine that you can equip this 2019 vehicle with and the Fuel Saver Technology it has to offer. Upgrade to a Chrysler today, value your trade-in online and drop by for an inspiring test drive! Buy or lease a vehicle that both actively and passively provides for your on-road safety, head to Airport Chrysler Dodge Jeep Ram to hear about the many safety features the Chrysler 300 has to offer! This new sedan is available with LaneSense® Lane Departure Warning with Lane Keep Assist, Adaptive Cruise Control with Stop and a helpful Blind Spot Monitoring System, and comes standard with Full-Speed Forward Collision Warning with Active Braking, ensuring you can enjoy on-road peace of mind. Don't miss your chance to drive a vehicle that offers Rear Cross Path Detection, visit our Florida Chrysler dealership in Orlando today! Our auto team is eager to welcome you over to our hassle-free dealership and get you into a sleek new Chrysler 300! We'll not only help you find the sedan trim that suits you, but we'll help you finance it and maintain it over the years, as we offer dedicated finance and service centers. 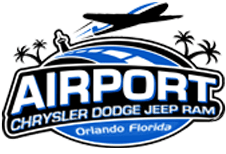 Take on Florida with a Chrysler 300 sedan, team up with Airport CDJR today!